Curated and executed social media strategy with a combined reach of 500K+, including online giveaways and hashtag marketing campaigns. 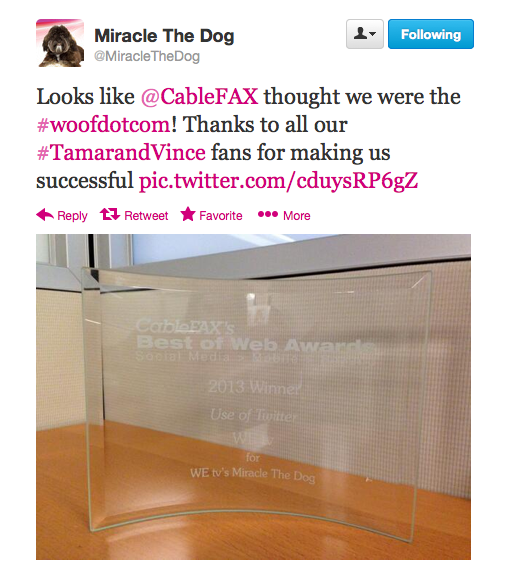 Developed and executed social media personality “Miracle the Dog” for Tamar & Vince, which won a 2013 CableFAX Best of Web Award. 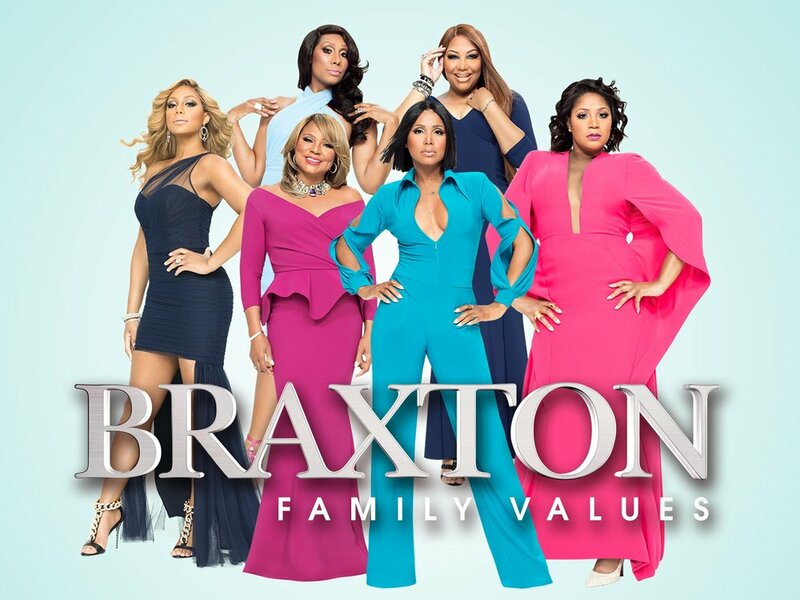 Wrote live show tweets and episode recaps for hit WE tv shows including Braxton Family Values, Kendra On Top and Marriage Boot Camp.